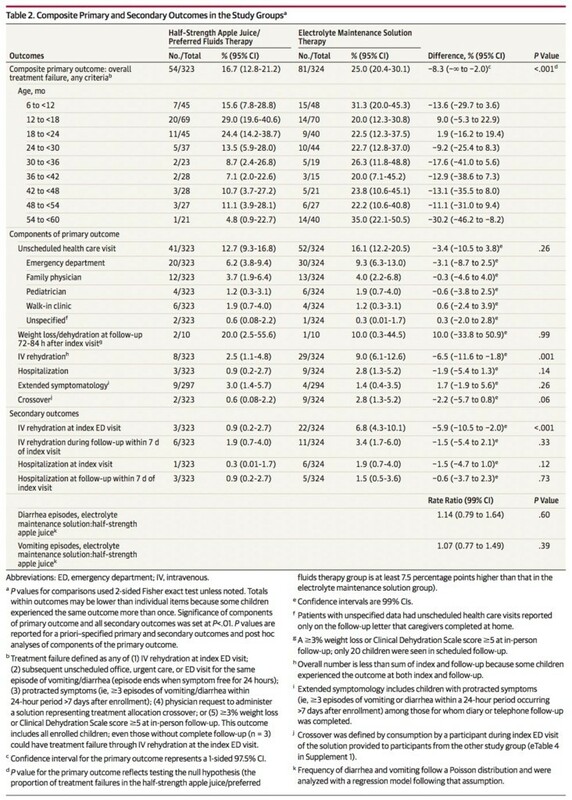 Effect of dilute apple juice and prefered fluids vs electrolyte maintenance solution on treatment failure among children with mild gastroenteritis　JAMA. 2016.5352.Published online April 30, 2016. Mark Jones, et.al, Randomised controlled trial of the Lidcombe programme of early stuttering intervention. Cohen HA, et al. Effect of honey on nocturnal cough and sleep quality: a double-blind, randomized, placebo-controlled study. Pediatrics. 2012 Sep;130(3):465-71.